Instagram - heading for your inbox. Being a young, up-and-coming, trendy social network is all well and good, but what happens when growth starts to slow down? If you're Instagram, you start sending out emails to users who aren't logging in as often. TechCrunch has spotted a new Highlights email digest that brings the best of your feed right into your inbox. The idea is you might be tempted to check back in more often. This hasn't rolled out across the whole network yet, though Instagram has confirmed that it's a genuine feature. Whether or not it decides to make it more widespread and permanent remains to be seen. Like the recapping features recently introduced on Twitter, Instagram's Highlights is aimed at those users who don't spend all their time inside the app. Those users can be a problem if you're a platform that relies on views and interactions. 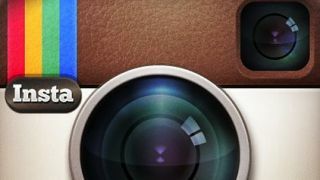 Instagram now boasts more than 300 million active users and an average of 70 millon photos are uploaded every day. Those are impressive stats but the pressure is always on to keep them going upwards. So don't be surprised if an email from Instagram suddenly appears in your inbox - it's just trying to boost user engagement. We would hope if the feature becomes official then you'll be able to opt out.